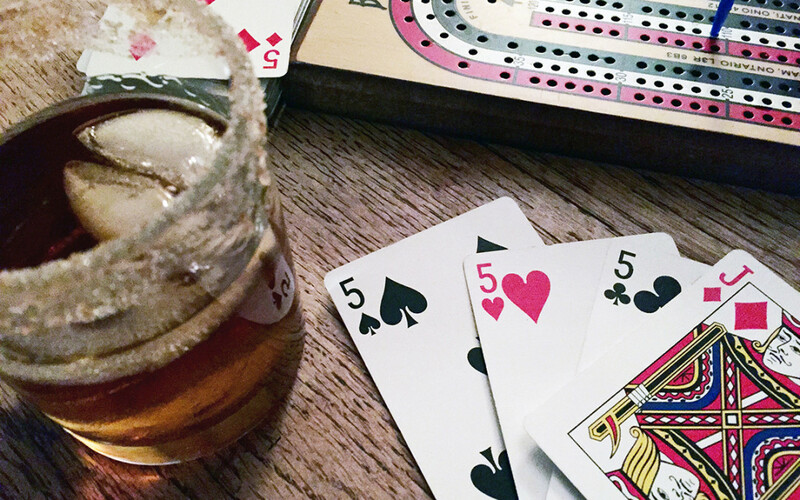 Cribbage and Whiskey: a gentlemanly way for a lady to spend her evening. Cribbage and sipping on bourbon just seems like a gentlemanly way to spend an evening… maybe because I once thought whiskey to be a “mans” beverage, a drink meant for either inexperienced drinkers to try out their tolerance and show their machismo, or a drink for distinguished elderly men to sip in their dens with a fine cigar reading a tome of classic literature. But with all the artesian distilleries popping up, the new interest in classic cocktails and social networking groups specifically for women who drink whiskey I decided I should check out this classic American beverage – Bourbon Whiskey. See this website for some information. I started with the Whiskey Sour, making the sour mix less and less sweet, and then moved on to the Old Fashioned, and finally relaxed into the simplicity of bourbon on the rocks. 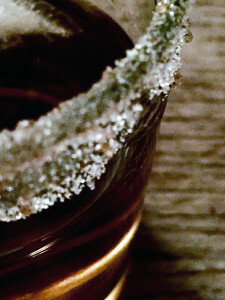 I enjoyed the gentle way the ice cube melted and softened the bourbon with each sip. This summer I took it a step further and added the game of Cribbage on the patio to many hot evenings. 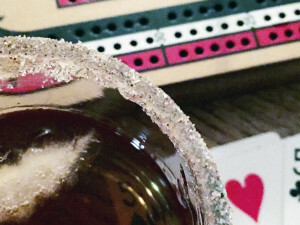 Cribbage itself is a very polished game; in that I mean it is a card game of manners. The rules are clear; you cut for a low card to start the game or series of games, you take turns in a very ordered way, you play and count the points with a particular language. After playing for a while you begin to understand your opponents’ nods, you learn how to time your hands, and you learn to predict when the cards are stacked against you, and you have to get cutthroat. I learned to play from my Grampy, my dad, and my uncles, which might be why I think of it as such a gentlemanly mannered game. I also learned how to play well from them because they did not cut me any slack. This background made me quite an astute and competitive card player. If you are in my neck of the woods I am always looking for a comrade to play with as I can not get enough, I am happy to pour you a bourbon fancied up like a lady with the Sweet Heat of ancho pepper and demerara sugar. Use promo code INFUSE to save 10% and get a free gift!